Knight's Appleden Fruit MarketRecord Owner? Log in. Located on County Road 2 (formerly Hwy2) just 6 km west of Colborne. 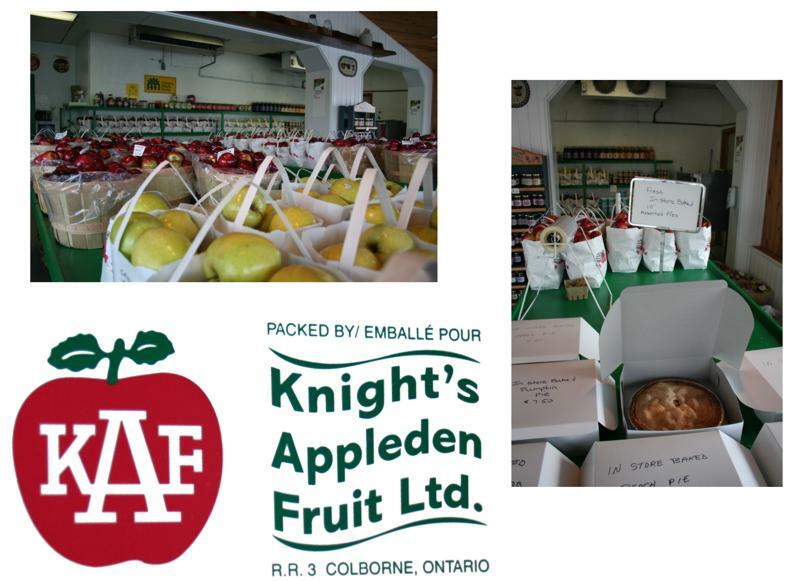 Knight’s Appleden Fruit Ltd uses Big A Brand to market Apples and has been a family business for over 100 years. 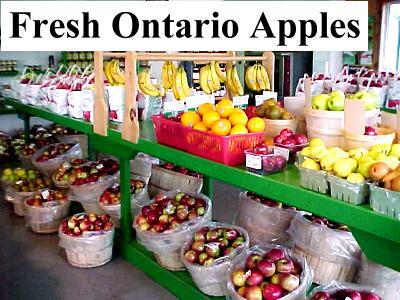 We have about 500 acres of orchard located within the scenic hillsides of Northumberland County just 120km east of Toronto which accounts for only 60% of our business. Our excellent proximity to Lake Ontario ensures that the cool deep water regulates summer and winter temperatures. Cool night breezes coming off the water provide excellent colour and firmness to our apples. The different types of soil in the area are graded for specific apple growth. For instance heavy clay loam soil which stays cooler is excellent for McIntosh Apples, and lighter sandier soil is better for larger apples such as Red Delicious. 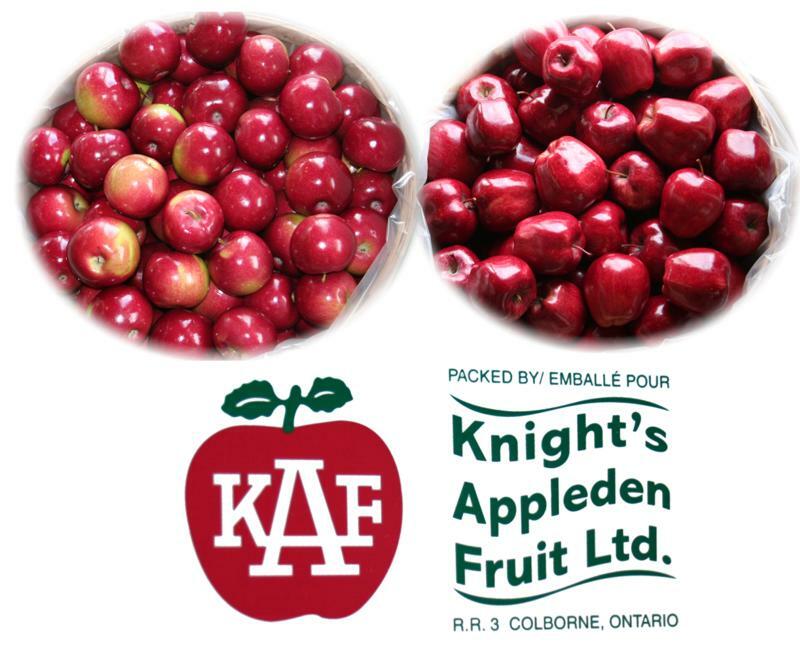 There are 50,000 bushels of Controlled Atmosphere onsite storage at Knight’s Appleden Fruit Ltd using state of the art nitrogen generation and automated monitoring. The packing plant capacity is 6,000 cases per day. We have our own fleet of air ride refrigerated commercial vehicles to ensure the product maintains its freshness, and is delivered safely. Big A Brand’s quality control and food safety begins in the field with an integrated pest management system and training for workers. 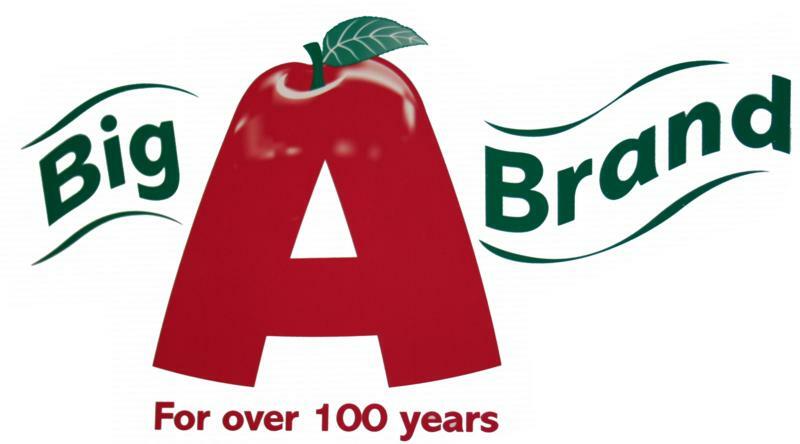 We use a team of managers in both the field and plant to ensure only quality fruit is used for the Big A Brand Apple. In fact every load of fruit is inspected when it arrives at the plant to be stored, and when it is shipped out to be sold. We are also audited on an annual basis to the CanadaGap standards. 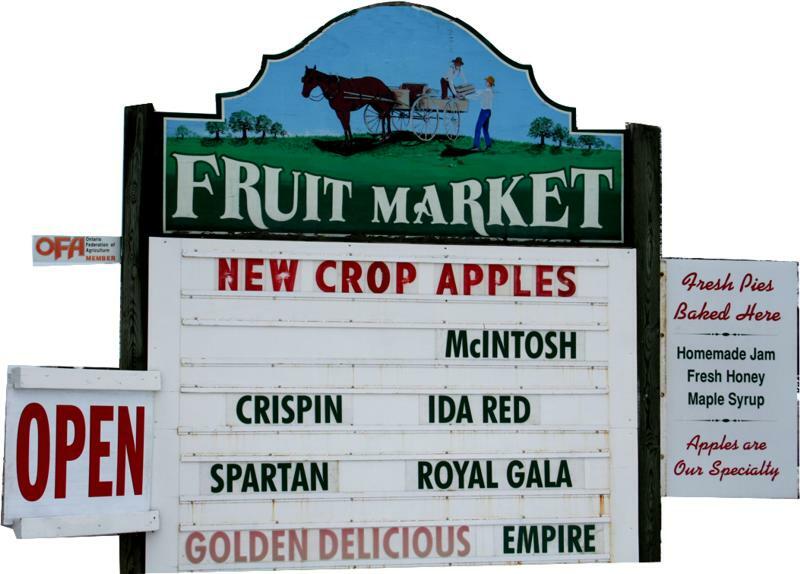 Have something to say about Knight's Appleden Fruit Market? Wonderful fruit. From grades a to C all are good. Nicely packaged. Decent prices. Extras are good as well.